In my last post I asked the question, is Apple losing its cool factor? I also asked whether the market campaigns by Apple in the mid-2000s are equivalent to those carried out by Samsung and Microsoft. I don’t believe Apple is losing its appeal (or cool factor) among those people who value Apple products. I include myself in this category, and those like myself generally feel the same way. Where Apple might be losing its appeal is among those who were exposed to the company’s products for a brief period and then moved onto something else. The iPhone really had no decent competitors until 2011. Android phones were vastly inferior with regard to stability, apps, and consistency. Samsung and HTC (in particular) stepped up their game in 2011, and since then Apple’s market share in phones has dropped - losing some of its customers to Android and, to a lesser extent, Windows Phone. But where old customers are lost new ones are gained. Both the iPhone and the iPad have seen year over year increases in sales. They just aren't growing as fast as Android, the latter being accelerated due the plethora of cheap devices available. (A little known fact is that flagship Android phones are not necessarily driving Android market share. The Samsung Galaxy Ace was - at one point - the best selling Android phone in the United States, not the Galaxy S II or III). Should being outpaced by Android concern Apple? Well, that’s a matter of opinion. Some analysts argue that market share is more important because it gets devices into the hands of more people, therefore solidifying a platform as a standard (think Microsoft’s Windows). Yet, other analysts argue this is a short term strategy, and focusing on better more refined products makes for a stronger company in the long run. Also, the race in phones and tablets is far from over. There are five billion people in the world without internet access, particularly in Africa and Asia. Mobile phones are often their primary internet access point. The mobile computing market is a rapidly increasing pie. Apple’s market share is steady (still outselling the competition in the US), and they sell more devices every year. This is good. Are recent offensive marketing campaigns evidence that Apple is no longer cool, or is it a sign of its competitors’ insecurity? I think it’s a little of both. When Apple launched its Mac vs. PC ads in 2006, it was clearly the underdog. At this point, Apple was only a computer and iPod company, and it had a market share between 7 to 10%. Pretty small. Their marketing campaign was hugely successful. But as the years went on, Apple abandoned those ads. Why? Two reasons. First, it had expanded into phones and tablets, and Microsoft was no longer its chief competitor. Second, for the first time in history Apple had a majority share in a computer market, eventually overtaking Nokia and RIM. There is a sound piece of marketing advice that many companies follow. Advertise where you want to be. If one were to follow this advice, being on the offensive when outgunned by your competitor is perfectly legitimate. When you finally reach your goal of being a market leader, tone down the hostility. Why? Because, companies that dominate the market and continue very offensive marketing campaigns come across as bullies. It leaves the market wide-open for another competitor to call this behavior out. It’s for this reason Apple has shifted its branding tactics inward, highlighting the fact that it’s an American company with a focus on quality and consistency. Microsoft highlights the partisanship among Apple and Android users in their latest TV ads. 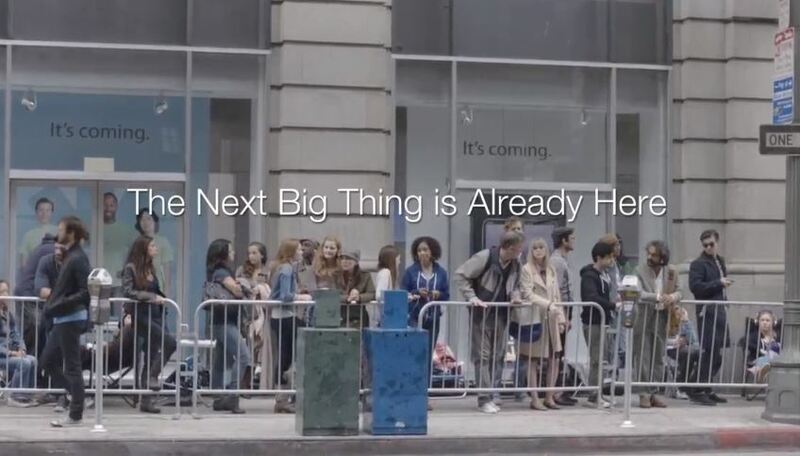 Samsung's Galaxy SIII ads depict iPhone users waiting in line (like sheep), while Galaxy owners show off the nifty features not present in the iPhone. There is no doubt that Samsung and Microsoft’s ads are effective in making Apple products look like something your parents want. They are very funny that way. But, I’m of the opinion that such campaigns are unwise when in a strong market position. Samsung is not an underdog in terms of market share. One could argue it’s a market leader, at least in phones. Microsoft, while not a leader in mobile, is still by far the dominant PC operating system. Apple, Samsung, and Microsoft are all hugely successful (leading) companies. So, when Samsung makes (very funny and hilarious) ads that poke fun at the iPhone, they are saying two things. 1. “look how much better our phones are.” 2. “we are trying to hide our shortcomings.” How many times can you run ads like that? It doesn’t take long before they’re no longer effective. While consumers might not yet realize it, many tech journalists have grown tired of Samsung’s ads because they misrepresent their products. Their phones are solid, but lack the polish and refinement of its competition (and I’m not just talking about Apple). Furthermore, such ads take attention off the fact that they have inferior customer service and support. I don’t think Apple has lost its cool, it’s just not quite as novel because more people use their products than ever before. If anything has hurt their reputation, it has been the continuous lawsuits against companies like Samsung, Motorola, HTC, and Google. And while all these companies initiate hostile legal battles globally, it’s considerably more damaging to Apple because, in many peoples’ minds, they are still the underdog. That image is part of their heritage, and it’s baggage they have to carry. To wrap up, I think it’s important to take a couple of things away from this discussion. First, there is always a long term and short term marketing strategy. Second, companies should project an image of where they want to be in the future rather than relying on short-lived, but forgettable, marketing campaigns. I think Apple is polarizing. There are people who like their products, and continue to come back (despite their upfront cost) because they feel the experience is superior. This is their main customer base. Then there are people who live to hate Apple, and find comfort in using the great many alternatives out there. Both of these groups are good for Apple’s cool; all publicity is good publicity. If Apple wants to remain cool, they have to focus on innovation and market-changing products, continue push the design envelope, and provide industry leading customer support. Those are tactics for creating hundred-year companies, not getting distracted by marketing.